The temperature of the Earth is a balance between heating by the sun and the cooling of the Earth to space. 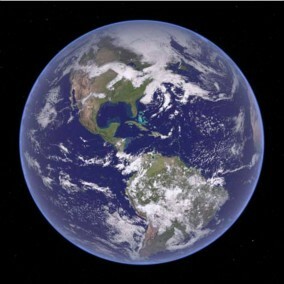 As the greenhouse gas CO2 increases, the cooling of the Earth to space is reduced, so the climate is getting warmer. The warming of the Earth is amplified by two things: water vapor in the atmosphere increases with temperature and water vapor is also a strong greenhouse gas; and as more snow and ice melt, the reflection of sunlight is reduced. The Earth’s climate is forced at the top-of-the-atmosphere by the short-wave radiation coming from the sun. Some of this energy (31%) is reflected back to space at once: we call this reflectivity of the whole earth, the planetary albedo. Per unit area, clouds, snow and ice reflect a lot of the sun’s energy (60 - 80%), so any reduction in the fractional coverage of clouds, snow or ice increases significantly how much of the sun’s energy heats the earth and oceans. (See Figure 1.) 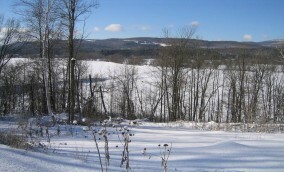 Locally in winter, the large reflection of sunlight by snow cover helps lock-in cold winter temperatures (see Seasonal Climate transitions). The oceans have a very low albedo (8%), so 92% of the sun’s energy that reaches the surface enters the ocean, and penetrates a few meters until it is absorbed. If there is a lot of plankton, the water is less clear and the sun’s heat does not penetrate as deeply. This heat is then mixed down further by turbulence (driven by the surface waves) into an upper ocean ‘mixed’ layer that may be 50-200m deep. The ocean is cooled mainly by the evaporation of water at the surface that increases as the wind gets stronger or the air gets drier. (See Figure 3.) Just as over land, there is a long-wave radiative heat loss from the ocean surface; and some heat transfer from water to air, which can be very large if cold, winter air blows off the continent over warm ocean currents like the Gulf-stream. As water evaporates from the ocean, leaving the salts behind, the ocean mixed layer increases in salinity. Over longer time-scales, the ocean circulations transfer heat and salinity from the surface mixed layer down into the deep ocean. The very large difference between the albedo of the open ocean and of sea-ice plays a critical role in the Earth’s climate. 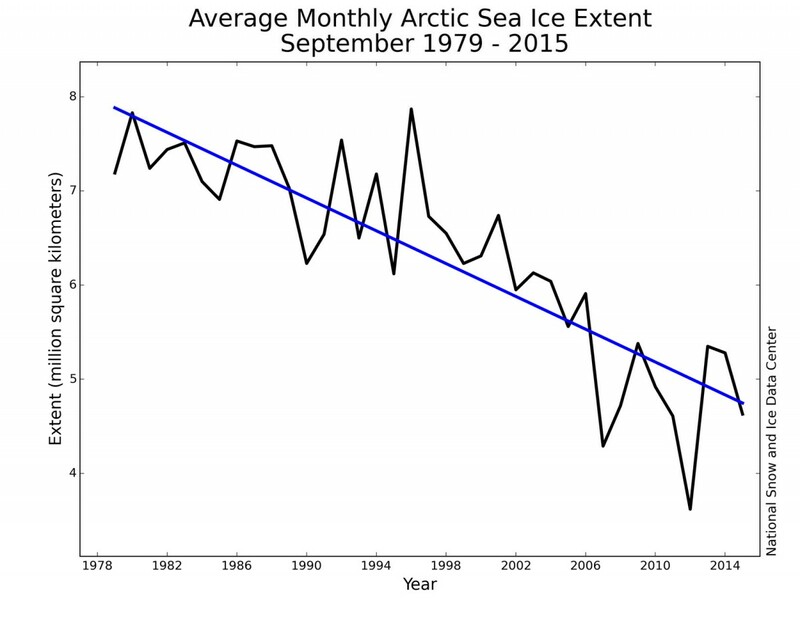 In recent decades, as the Arctic has warmed, the reduction of the Arctic sea-ice in summer (See Figure 4.) 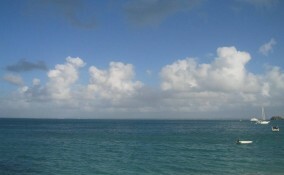 means that the open ocean absorbs more sunlight (less is reflected). This is a positive feedback that has accelerated the warming of the Arctic. There is a second positive feedback here. Water evaporates much more from open ocean than from sea-ice; and the extra water vapor in the atmosphere (a powerful greenhouse gas – see below) reduces the cooling of the Arctic to space. 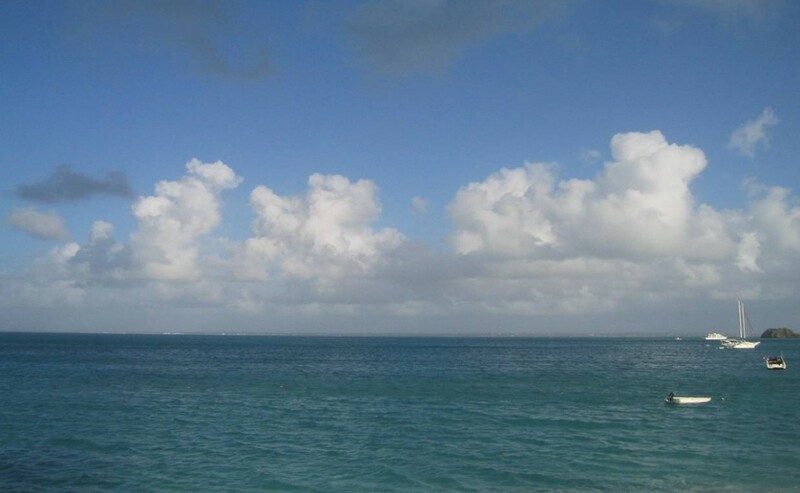 The increase of evaporation from the ocean has a third impact. Storminess increases and stronger winds can blow and breakup more ice. 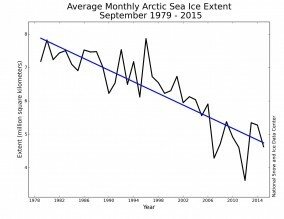 In decades past, the Arctic sea-ice was much thicker multi-year ice (it lasted for several years). Now the sea-ice is thinner and much of it was formed only the previous winter, so it melts more readily in summer (1). Solar energy heats the earth, and the earth cools to space by infrared radiation, which increases with temperature. So to reach balance, the earth warms up until it can radiate to space the energy that it gains from the sun. This is where the greenhouse gases (GHGs) are important. The GHGs are the gases that strongly absorb the earth’s thermal infrared radiation, so they effectively blanket the earth (by radiating energy back down to the surface) and reduce the cooling of the earth to space (because the radiation to space comes from higher in the atmosphere, where it is cooler). The primary GHGs are water vapor, carbon dioxide, methane, nitrous oxide, and ozone (H2O, CO2, CH4, N2O, O3), but there are many other industrially produced gases (like the hydrofluorocarbons, HCFCs). These gases are smaller constituents of the atmosphere, but they have modes of rotation and vibration that absorb the earth’s thermal radiation strongly. (Most of the atmosphere is nitrogen and oxygen, but these simple diatomic molecules are too tightly bound to absorb this thermal radiation.). The GHGs are critical to giving the earth the warm climate that supports life – without them the earth on average would be about 33◦C (59◦F) cooler and the oceans would freeze. CO2 is the second most important greenhouse gas and although there is much less CO2 than H2O in the air, it plays a critical role. Atmospheric CO2 is controlled by very different processes than is water vapor, and currently it is not at all in balance. 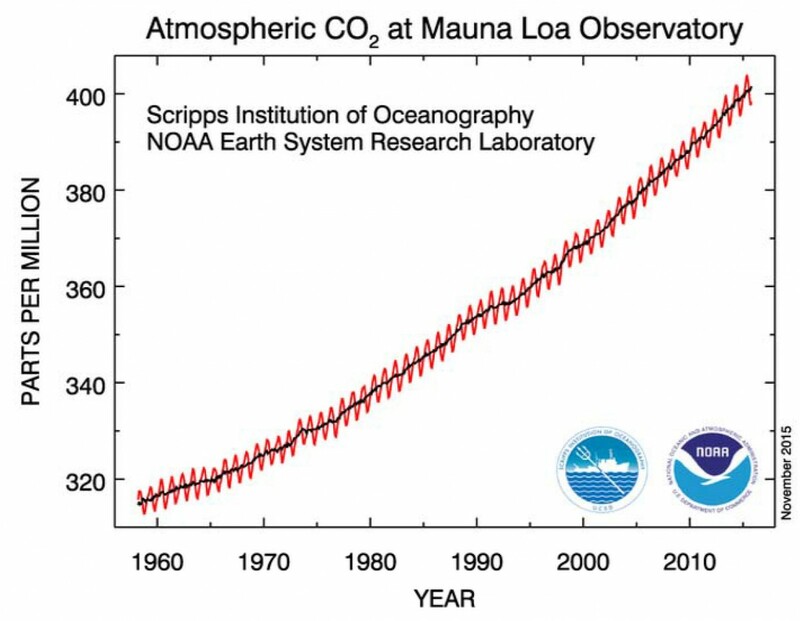 The amount of CO2 has increased 43 % in the past 100 years from about 280 to 400 parts per million (ppm). (See Figure 5.) 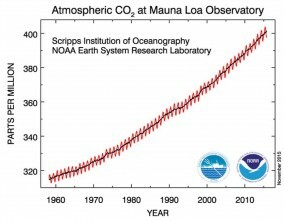 There are large exchanges of CO2 between land, atmosphere and oceans. 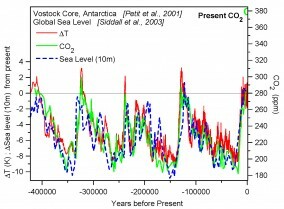 The yearly oscillations are because CO2 goes up in the northern hemisphere winter, when plants respire and release CO2; and down in the summer when photosynthesis takes up CO2. In the natural earth system, before the human impact became large, these were close to being in balance over the global annual cycle. However the input of CO2 from burning fossil fuels and other industrial processes is so large than the biosphere and oceans can only take up about half of the human input – and this fraction appears to be decreasing with time (although with large variability). Consequently atmospheric CO2 is increasing quite rapidly, and the lifetime of this human waste product (coming from primarily the burning of fossil fuel) is a century or more. In fact some is dissolving in the oceans, which are becoming less alkaline, and some of this CO2 will be returned to the atmosphere centuries from now, once we have limited the use of or exhausted our fossil fuel reserves. Because of increased GHGs in the atmosphere, the Earth at present has a net energy gain2 of about 1-2 Wm-2. A small part of this energy imbalance is melting ice, but the Earth must get warmer on average, until this imbalance can be radiated back to space. This warming of the Earth has a lag of 50-100 years because of the large thermal storage of the oceans. Furthermore, the climate system has instabilities and feedbacks2 that are only partially understood, so there are large uncertainties in our projections for the future climate of the Earth. Age-age cycles appear to have ended during periods of higher solar radiation in summer at northern latitudes; with ice-sheet collapse taking only a few thousand years. 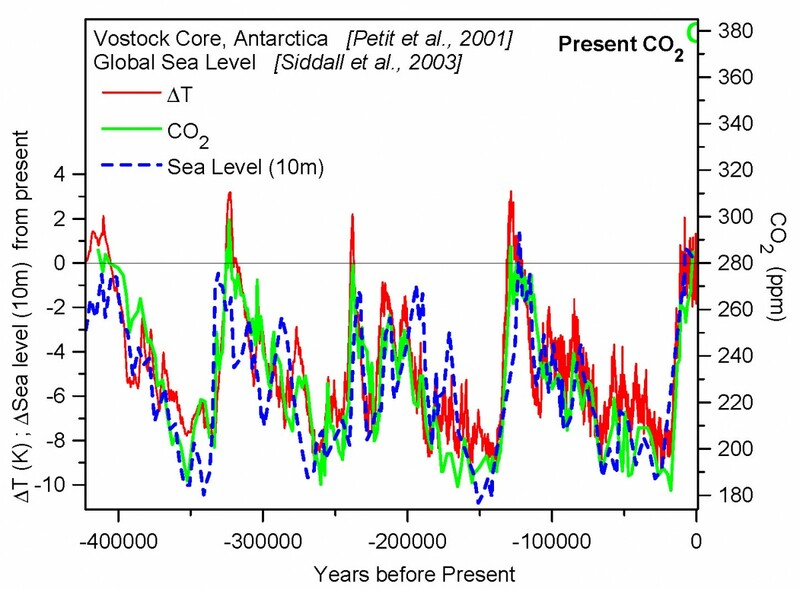 On ice-age time-scales, as temperature fell, CO2 fell from 280 to 180 ppm, with the weathering of rocks and transports of carbon into the deep ocean; and methane fell from 700 to 350 ppb. Solar forcing was the driver, but the three GHGs (H2O, CO2, CH4) greatly amplified the climate change.